I'm an urban planner and research consultant based in Accra, Ghana and the vice chair of communications for APA's International Division. I work as a part-time consultant in the role of Urban Advocacy Specialist with Women in Informal Employment: Globalizing and Organizing (WIEGO), a research-action network focused on informal economy issues and inclusive urban planning in cities. I also work as a consultant on a range of urban development projects, as well as write and research on community placemaking and public spaces. 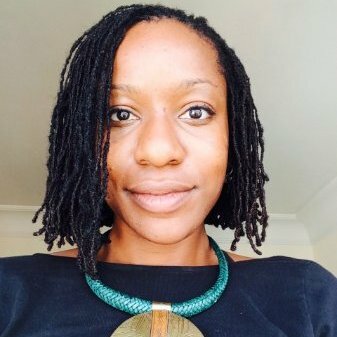 I have a blog called African Urbanism where I have for a long time researched and written on urban development in African cities; I also work on public space projects, including research and community engagement, and I'm currently in the process of registering African Urbanism as an NGO in Ghana to do more work in this area. First, I've been open to the experiences that came my way; I saw them as learning opportunities rather than staying fixed on any one area or sector. When I arrived in Accra, I was fresh out of planning school, and I knew that I had to be open to my career being shaped by my interests and skills and also the needs and opportunities that would arise in Accra's local context (and I was ok with that). Over the past few years, this perspective has enabled me to work on a range of projects and to evolve as an urban planner; my work experience now includes land use and transportation, cultural heritage and tourism, water and sanitation, and most recently on the linkages between informal economy, community placemaking and public spaces. Second, because I hoped to build a career working in West Africa (not just complete a year or two stint), I focused on not just doing great work but also on building lasting relationships. This applied to my day-to-day work experiences with my team members, but also in networking with urban professionals and acquiring mentors as a means of sharing information, learning, and finding opportunities for future collaboration. I joined in local networks of young professions, urban planning professionals in Accra, for example. It's been an opportunity to get help figuring things out (especially when I first moved to Accra! ), and to build lasting relationships that will endure even after I leave Ghana. Tell us about your role during Habitat III. I joined WIEGO to play the role of advocating for inclusive messaging toward the informal economy in the Habitat III process and the outcome document, the New Urban Agenda. Our aim has been for strong recognition of the economic contributions of these workers, as well as recognition of organized groups of informal workers (and the urban working poor in general) as legitimate stakeholders in the planning process in their cities, and through the implementation mechanism that results from the New Urban Agenda. So for the past year and a half, I have coordinated WIEGO's participation in the General Assembly of Partners, a special stakeholder participation mechanism in the Habitat III process, and I participated in regional, thematic and preparatory meetings as a researcher, expert and speaker, as well as facilitated WIEGO and informal workers' inputs into various drafts of the New Urban Agenda as part of the months-long negotiations process. What would you like to be doing in 10 years' time? In 10 years, I see myself running my own organization focused on urban development project interventions in West Africa as well as research. Throughout my academic and professional experience, I've always been interested in both urban development practice (the doing) and the research (thinking through and reflecting on the doing), and I see them as mutually reinforcing. I'm also increasingly interested in the opportunity of engaging urban planning students to teach, inspire and encourage them to think creatively about the spaces in which they live, the stakeholders who use and contribute to the urban space and how to work with them. So I anticipate doing work where I can balance my interests in doing, reflecting on doing, and also build the capacity of future doers when it comes to urban development interventions. Do you see Ghana as playing a leadership role in African urban development? In short, no. Africa is such a diverse continent, and I think that even in any one country (like Ghana), there are a whole host of internal and external forces shaping urban development. So in Ghana, cities are dealing with their own, very local, challenges and priorities. That said, there are some similar trends throughout much of the continent: trying to promote economic development along with economic growth, and improve cities while also ensuring all citizens' access to the cities' opportunities. With respect to my work with WIEGO, what I enjoy most about my role is the opportunity to wear multiple planning hats; I get to be researcher, planner and advocate. I do research on the urban planning history of specific issues, such as traditional markets as spaces of commerce and urban planning orientations towards these activities; I engage directly with market and street vendors to talk to them about their livelihood issues their needs and priorities, as well as document their issues through mapping and photography; I also get to serve as an advocate, interfacing with different levels of government in dialogue on their approaches to addressing informal economy issues. For me it's a very fulfilling and well-rounded experience. Well, moving to Ghana, the history and orientation of planning is quite different than in the United States, so I had to put at the backseat some of the assumptions I had developed in planning school and do a lot of learning. I've developed a deeper and more nuanced understanding of how urban development and planning is done in West African cities like Accra, and what that means for the variety of opportunities as an urban planner: In much of West Africa, city agencies deal with general development challenges that constrain their funds to plan and implement improvements in the city — and there are few if any opportunities as a foreigner to work as an urban planner in city government. The private sector and international donors play a large role in urban development. The private sector brings profit-oriented investments in large-scale infrastructure development and high-end retail, residential and mixed-use developments. International donors focus on basic access issues like improving water and sanitation access for the urban poor. In the middle of that is the city government also trying to execute its projects, but with continued technical and financial constraints. So the practice of urban planning can be quite complicated, and the link between planning, implementation, and enforcement isn't as straightforward as say, in a city in the United States. What advice do you have for Americans interested in working in Africa? I would say come ready and open to learn. Remember that you're an expert in some technical ways, but to also respect the expertise of others — from the market vendor who knows the market and its dynamics best, to the community resident who's lived in her neighborhood all her life and has important insights about how it functions. Pursue your passions and interests, but also realize that you're there to make an impact, and that impact has to be grounded in local needs and priorities. Any influential people or role models? It's been important for me to seek out and have mentors throughout my career so far. My biggest mentor is my former boss Sean Cantella (who was Chief of Party on the Ghana Water, Sanitation and Hygiene Project), but I also have a group of young female African and African-American urban planners who are doing interesting things on the continent. My first urban planning job was as Technical Advisor/Communications Manager on a USAID-funded Ghana Water, Sanitation Project — this was a multi-year project focused on improving community water and sanitation access and hygiene in five regions in Ghana. I'd written my masters thesis on community water management and access in Lagos, Nigeria, and this role was a fantastic opportunity to learn about water and sanitation issues at the urban, peri-urban and rural scales and to work in Ghana, a similar, but also completely different environment. My most exciting responsibility (and challenge) in this role was mapping our project activities as an evaluation process — I developed a new system for capturing beneficiary information across the five regions of our work and trained our field team to collect household information, photos, GPS coordinates, and then I mapped our interventions (approximately 4000 household beneficiaries and facilities) — an important evidenced-based tool to demonstrate our impacts, and also an internal tool for my team to monitor our progress. In the last six months of our project, I also had the opportunity to work on lessons learned research, exploring the extent to which our project has met its goals, and transferring knowledge from our project to future projects. It was a great opportunity because it allowed me to use so many of the planning skills I'd learned, but it was also an exciting challenge to adapt what I'd learned to a new context. The single thing that has helped me the most, particularly when I first moved to Ghana, was that I'd started a blog. I've always been an avid reader and writer (including earning my Bachelors in Journalism). When I started studying urban planning, I began to use writing as a means for reflecting on experiences, what I've learned, and to contribute to the discussion of urban development in West Africa — even though I was just starting out. After my masters program, it was an opportunity to keep learning and an excuse to explore and document my experiences. It also produced the positive (and unintended) result of earning me some recognition both inside and outside Ghana, and helping me to secure a few consulting opportunities, including professional research and writing opportunities covering urban development. It was perhaps the single most helpful means for me to build an online presence and establish myself as an early career professional working on urban planning and West Africa. It's allowed me to connect with other young urban planners, experts, researchers and institutions.